If you wish to convert your empty attic space into a usable room in the most cost effective way of adding significant value to your home and increasing your liveable space or maybe your wish to extend your property for an extra garage, then Spenwell General Builder is the right company to hire as we specialize in extensions and loft conversions. We do other services for our customers if there are other areas that needs repair, other services are gardening, wirings, renovations, reconstruction, and many more. 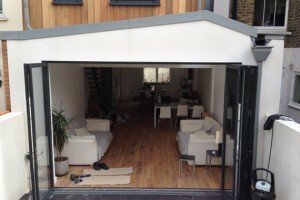 Extensions and t loft conversions can add a significant amount of money to the value of your property. Many families choose to convert their extra spaces as a means of obtaining more rooms without having to endure the costly and stressful process of moving home. If you are thinking of creating more livable space with a loft conversion, let Spenwell General Builders help you with possible designs, and a budget that suits you and your property. Our services are available in Hainault IG6, East London and other regional areas like Romford, Walthamstow, Dagenham, Stratford, Chigwell, Woodford, Epping, Barking and other nearby areas in Essex and East London.